For this week *Stunning Frocks; we couldnt resist sharing these new collection from the Fall Bridal Market which was in full swing a couple of weeks ago. Credits to Belle the Magazine for these lovely glammed up gorgeous frocks. 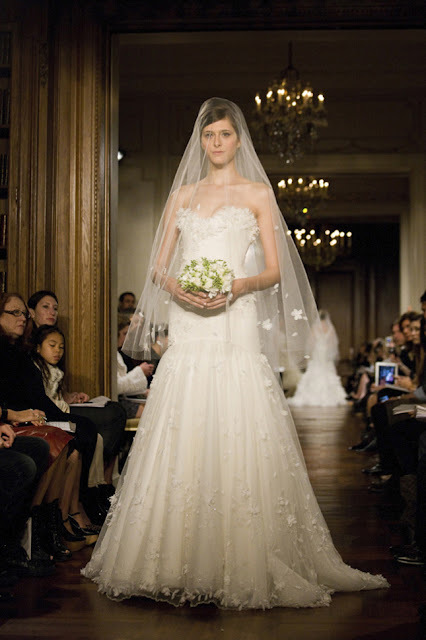 First up, one of the designers whom we adore, Romona Keveza. Her confections are always so elegant and sophisticated. And this new collection, it's no exception. It is full of jaw-dropping gowns to say the least! 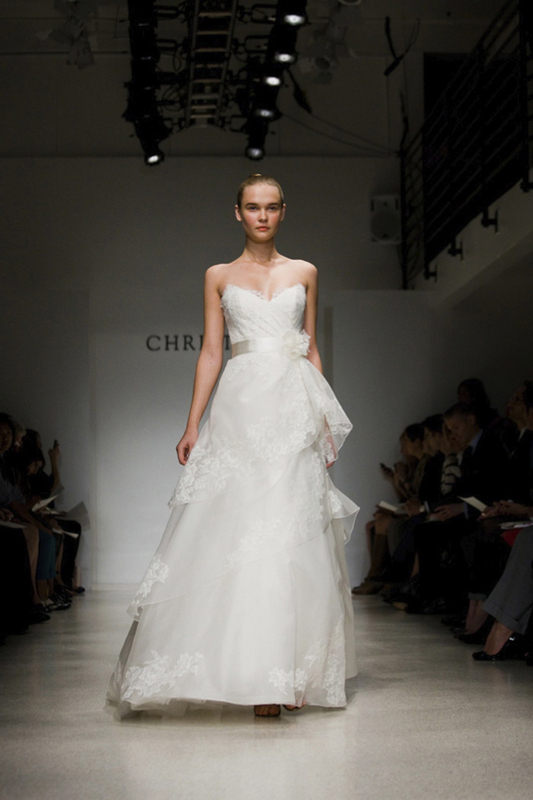 Christos beautiful 2012 Collection is pure girly glam. 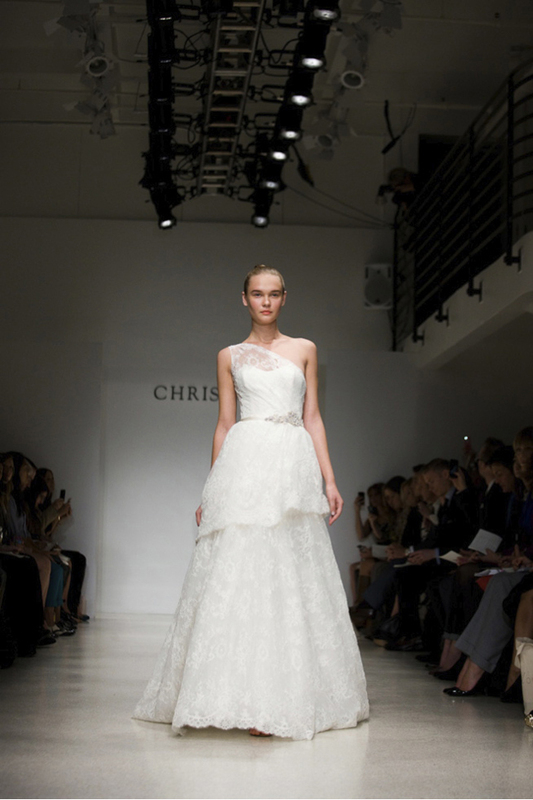 I'm loving all the feminine elements, from the flowy tulle skirts to the lace details. 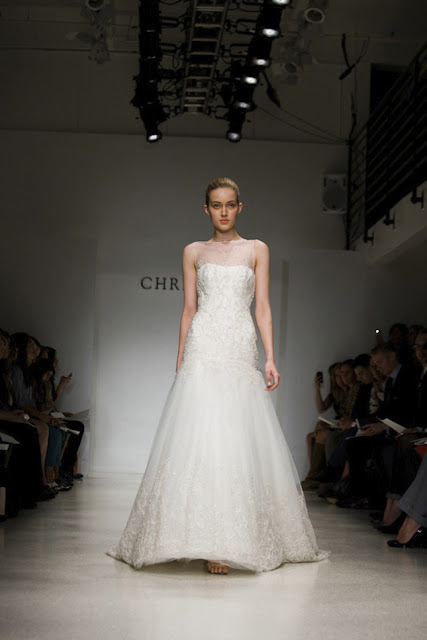 To finish this first part, I leave you whit Moniqhe Lhuillier who always manages to deliver dreamy wedding dresses. But, in my humble opinion, this collection takes bridal fashion to a whole new level. It's fill to the brim with ruffles and lace. So fabulous!